Click the links below to view current traffic conditions across the Gulf Coast. Whether you’re making a trip to New Orleans or Baton Rouge or heading east to Mobile or Pensacola, each area has a series of traffic cameras in place to help you plan a safe and efficient travel route. Commuter safety is a priority of the MS Gulf Coast MPO, but also for every neighboring local and state transportation agency. The development of Intelligent Transportation Systems (ITS) on our roadways offers the traveling public another opportunity to be aware of traffic conditions and plan their travel accordingly. ITS refers to a technologically advanced and highly coordinated information system that enables road users to be better informed, make safer decisions and make smarter use of the transportation network. The Mississippi Department of Transportation(MDOT) has just completed a projects that installed an additional 92 traffic cameras on I-10 in Jackson County, as well as several electronic message boards that will alert drivers of crashes, roadway maintenance, lane closures and other travel delays ahead. they will also provide reduced speed notices, amber alerts, severe weather condition announcements and safety reminders. 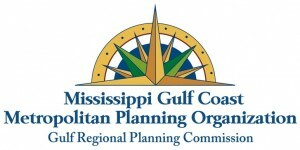 By creating this webpage, we wanted to not only make the MS Gulf Coast community aware of the great work being completed on our roadways but also offer a single location to view traffic conditions no matter which way you plan to travel.